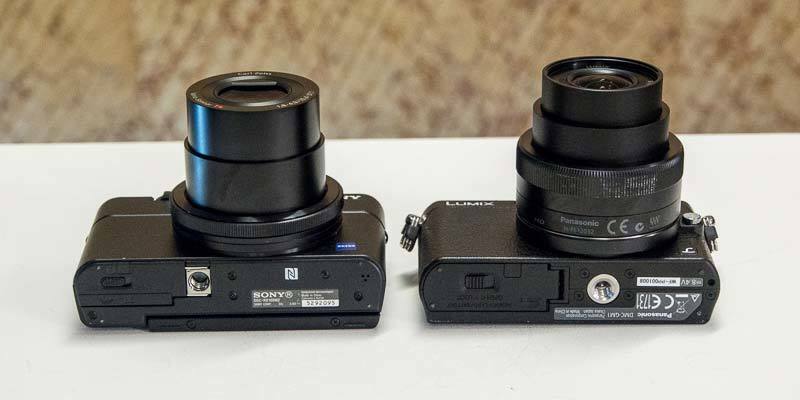 You can change the lens on one of these cameras - but can you tell which one?! 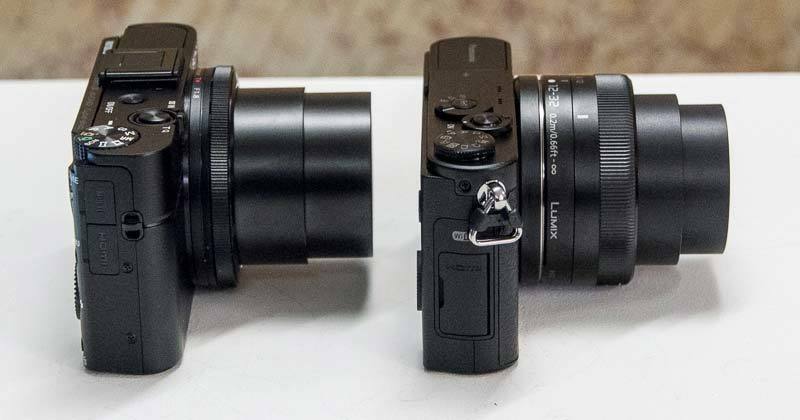 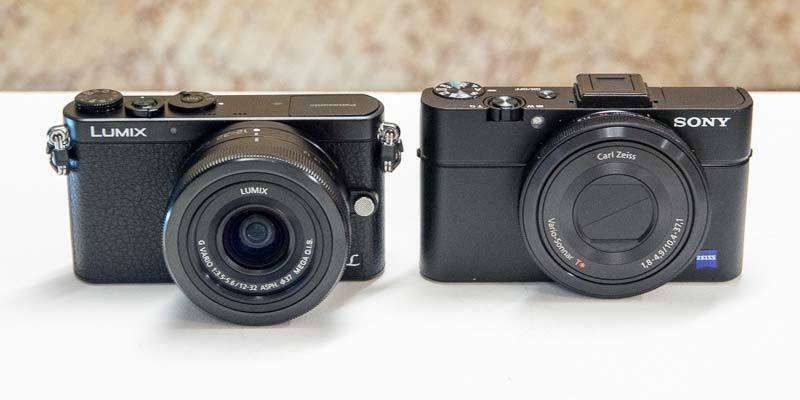 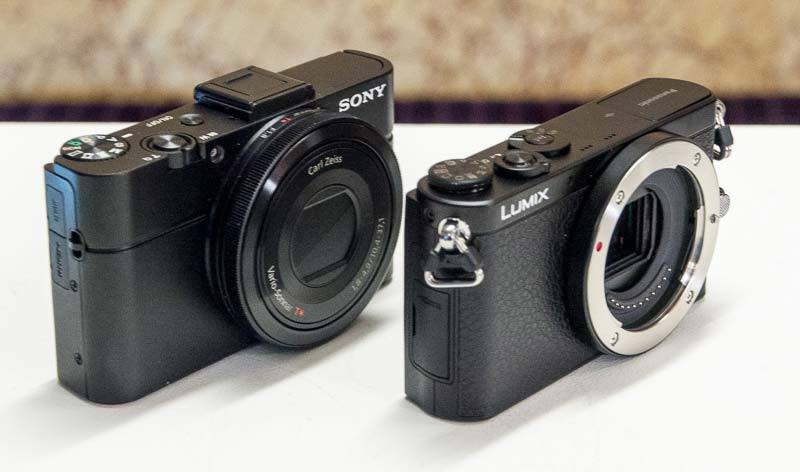 We've directly compared the new Panasonic Lumix DMC-GM1 compact system camera with the popular Sony Cyber-shot DSC-RX100 compact. 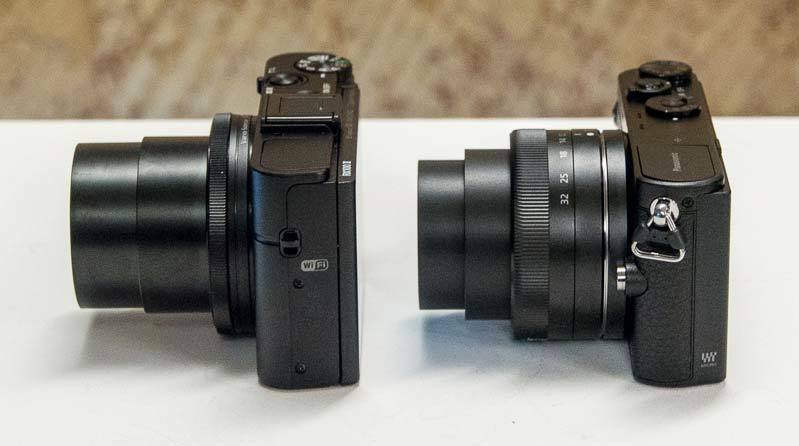 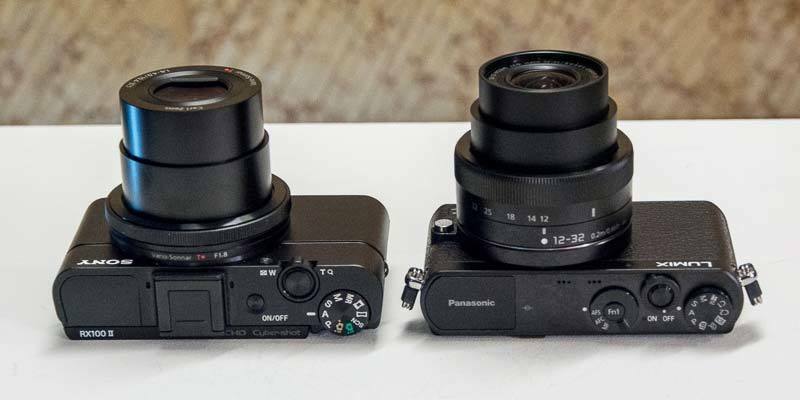 The new Panasonic GM1 is tiny, so small in fact that it clearly rivals the Sony RX100 compact camera in terms of size, both with and without the new 12-32mm lens fitted. 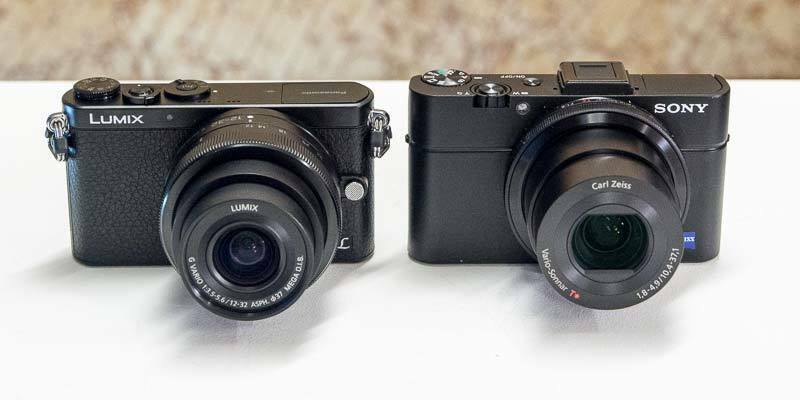 A gallery of 9 photos of the Panasonic Lumix DMC-GM1 compact system camera compared with the Sony Cyber-shot DSC-RX100 compact camera.